West Ham United will entertain Bournemouth at the London Stadium on Saturday hoping to bounce back from their disappointing 4-0 loss at the hands of Liverpool last weekend. Manuel Pellegrini has spent big in the summer, and the Chilean manager now has to justify his spending by getting some favourable results in the coming weeks. However, the Hammers would come up against a strong Bournemouth team who managed to get an opening day victory versus Cardiff City. It is quite likely that the East London side would opt for a 4-2-3-1 formation for this encounter. Pellegrini also has no new injury worries to deal with at the time. Lukasz Fabianski would line up for the Hammers on Saturday after being embarrassed last time around at Anfield. The Polish goalkeeper shipped in four goals against Liverpool in his previous league outing and would be hoping to keep a clean sheet in his home debut for the East London club. The centre-half pairing of Angelo Ogbonna and Fabián Balbuena will line up in front of Fabianski while Arthur Masuaku will take up the left-back duties. Ryan Fredericks would take his place on the right side of the back four. Manuel Pellegrini will be without the services of Winston Reid who will miss out because of injury. The West Ham defence needs to keep things tight at the back if they are to stop the Cherries from scoring this weekend. They are likely to come up against an attacking duo of Callum Wilson and Joshua King, so it won’t be an easy feat to neutralise their threat. The defensive pair of Mark Noble and Declan Rice could be deployed in the middle of the park as the holding midfielders. The trio of Michail Antonio, Jack Wilshere and new signing, Felipe Anderson will play just ahead of them in the Bournemouth half, looking to create opportunities for Marko Arnautovic. Anderson became West Ham’s club record signing this summer, so his performance against Eddie Howe’s men on Saturday would be the focus of many people’s attention. Marko Arnautovic to start up top for the home team as he looks to get off the mark in the new campaign. The 29-year-old Austrian striker scored 11 goals in 31 Premier League matches last season. We can expect him to improve on that tally this term if the Hammers are to clinch a top 8 finish. 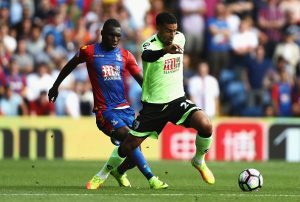 Cardiff City Eager To Land This 29 Y/O Bournemouth Striker: Should The Cherries Let Him Leave Again? Leicester City Players Rated And Slated In Their Thrilling Draw Against Bournemouth: Mahrez With 8/10! 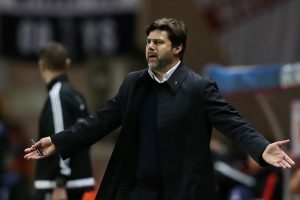 4-2-3-1 Predicted Tottenham Hotspur Line-Up Vs Bournemouth: Kane To Lead The Line?